Join us as we kick off Hispanic Heritage Month! We’ll be showing two films at the Pecan Library room F102. Tuesday, September 18th we’ll be showing “The Rise and Fall of the Brown Buffalo” at 11:30 am and on Wednesday, September 19th we’ll be showing “Latino Americans” at 1pm. 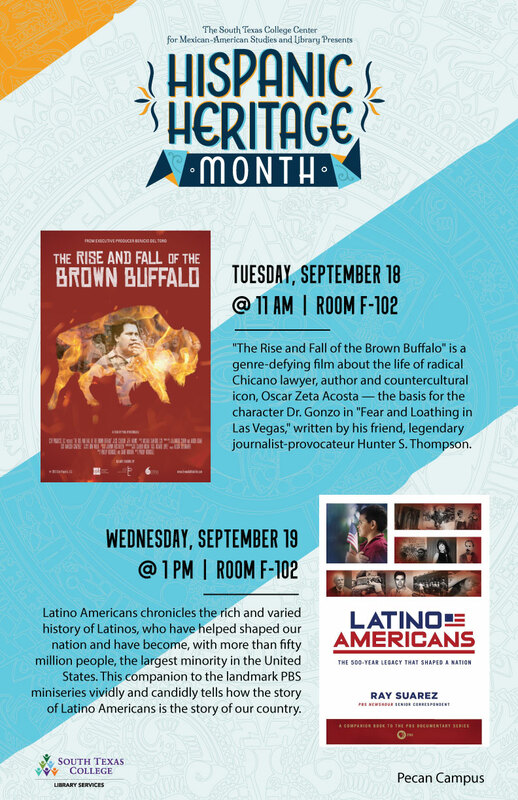 Wednesday, September 19, we’ll also be showing “The Rise and Fall of the Brown Buffalo” at the Mid-Valley at 12pm. 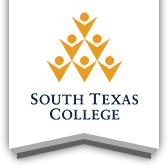 We’ll also be showing “Latino Americans” at the Tech Campus Library at 11am. “The Rise and Fall of the Brown Buffalo” is a genre-defying film about the life of a radical Chicano lawyer, author and countercultural icon, Oscar Zeta Acosta — the basis for the character Dr. Gonzo in “Fear and Loathing in Las Vegas,” written by his friend, legendary journalist-provocateur Hunter S. Thompson. “Latino Americans” chronicles the rich and varied history of Latinos, who have helped shaped our nation and have become, with more than fifty million people, the largest minority in the United States. This companion to the landmark PBS miniseries vividly and candidly tells how the story of Latino Americans is the story of our country.